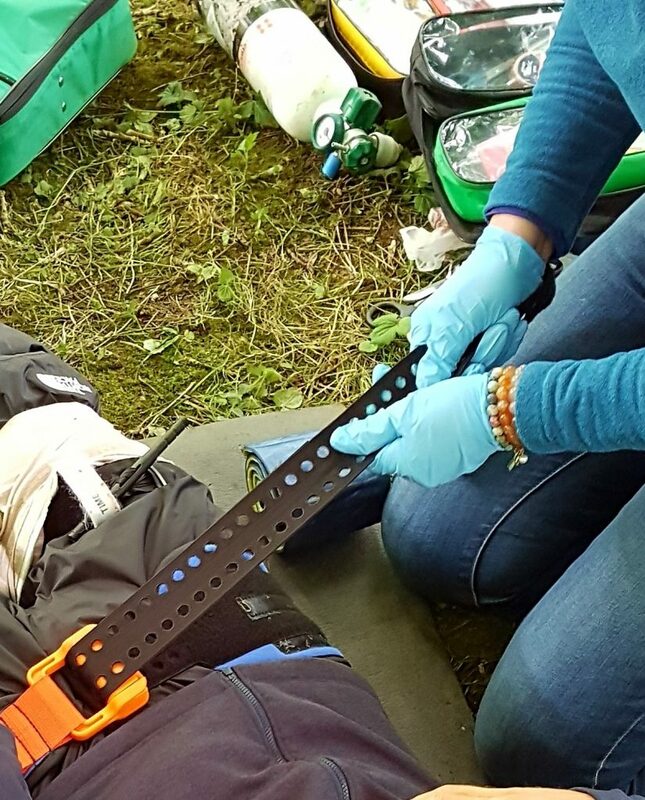 First Response Emergency Care (FREC 3) courses are held every month in the Peak District. We are easily accessible from Manchester Airport for overseas particpants. We aim to make this regulated qualification as practical as possible. To enhance learning, some practical sessions are conducted outside in a mix of urban and wilderness environments. Our training facility is in the midst of acres of private land so we can get on and practice uninterrupted. We have a strong Wifi signal and 4G so we can easily take out a waterproof smart phone or tablet to show short media clips. Participants are introduced to a variety of pre-hospital care equipment such as tourniquets and haemostats to arrest catastrophic or life threatening bleeding. Pelvic splints are part of this regulated qualification with plenty of practice in varied terrain: easy to apply in a classroom but more challenging outside in the mud, rain or on a steep slope. If you are wondering how a pelvic splint is used to minimise bleeding then you can view some details on YouTube. If you would like to know more about the FREC 3 and how it may benefit you in the security industry, armed forces, outdoor education or community responder scheme to name a few, then please contact us on 01433 621484 or info@highpeakfirstaid.co.uk. We respond to calls and emails outside office hours for those on different time zones.